NOTE: Items below are often on sale, so check for lower pricing! 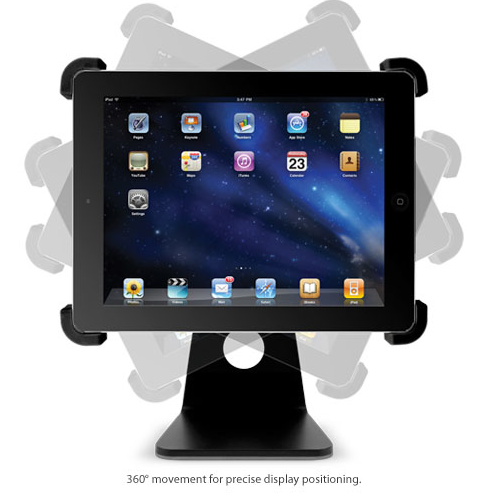 Get a grip on your iPad 2 with NewerTech’s NuGuard GripStand 2 + GripBase Bundle. Make sure the shell fits VERY tightly before you start cavorting with your precious iPad2. Back at home or office, snap the GripBase into place for table top or desk top viewing and usage. This is a great combo product. But is it better than the somewhat similar single-purpose NuStand 360? And why is Nemo so pleased with NewerTech’s 72″ USB Dock cables?